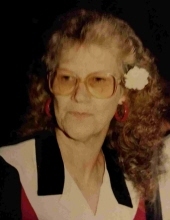 Shelby Jean Holmes, 82, of Herrin, passed away 5:45 a.m. Saturday, March 23, 2019 at her residence surrounded by her loving family. Shelby was the owner of Cherry Street Pub in Herrin. She loved to sew and quilt and spending time with her family and grandchildren. Shelby was born September 16, 1936 in Carterville, IL to Ora and Wilma (Walker) Tripp. Shelby was united in marriage with Donald Ralph Holmes on September 15, 1951 in Osceola, Arkansas. He preceded her in death on February 15, 2012. Surviving are three daughters and two sons-in-law, Carolyn Jordan of Herrin, Donna and Kenny Swan of Herrin, Tina and Rick Mann of Herrin; seven grandchildren, Tim Holmes of Herrin, Travis Swan of Herrin, Noah (Aimee) Swan of Herrin, Cory Mann of Herrin, Christina (Shawn) Lockard of Herrin, Kalie Jordan and fiancé, Jeff Orr of Herrin, Casey (Brock) Ziegler of Mt. Vernon, and fourteen great-grandchildren and three great-great grandchildren, sister, Sue Hammonds Barwick of Cambria; two sisters-in-law, Irma Holmes of Worden and Gale White of Herrin. She was preceded in death by her husband, daughter, Barbara Holmes and a son, Danny Holmes. To send flowers or a remembrance gift to the family of Shelby Jean Holmes, please visit our Tribute Store. "Email Address" would like to share the life celebration of Shelby Jean Holmes. Click on the "link" to go to share a favorite memory or leave a condolence message for the family.